“As we have previously informed you, on 22 May 2014, UNISON member Joe Lock was successful in his claim, Lock v British Gas. 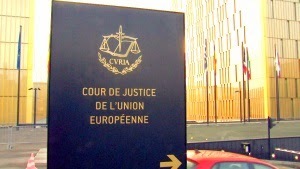 The Court of Justice of the European Union (CJEU) found that a worker’s annual leave pay should include commission payments if these were part of normal pay. The Employment Tribunal will decide how UK law will now be interpreted in light of this decision. It is likely that whatever decision is reached by the Employment Tribunal will be appealed through the higher courts, so it may be a long time before any payments are received. As a result, the Council has now changed the way it calculates holiday pay with effect from the beginning of the financial year, 1 April 2014. The change will only apply to employees who claim monthly earnings in addition to base pay by submitting a claim form (for example, for casual overtime). It does not apply to any additional payments that are non-claims based (for example shift payments) as these are already included in the calculation of holiday pay. We have been informed that employees affected by this change will receive an increased payment in respect of holiday pay, amounting to 8.3% of the additional earnings claimed each month. This will be shown as an additional earnings element on their AUGUST payslip. PLEASE CHECK YOUR WAGE SLIP NOW!